Must Currently Have at Least 10 Existing Teeth on Both Upper and Lower Arches- Please scroll down to read Product Description below. If you choose “I already have silicone impressions of my teeth”, they must either be silicone putty impressions or 3D printed models. No plaster models are accepted. You must have at least 10 existing teeth on both your upper and lower arches to order this product. 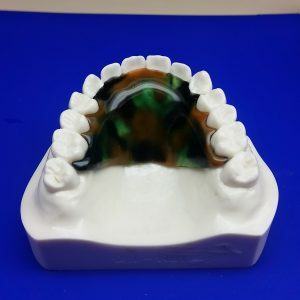 The reason that we require that our customers have at least 10 existing teeth on their upper arch and 10 existing teeth on their lower arch is that in order to make a Partial Denture or a Dental Flipper is that the lab has to know how your teeth match up when you bite all of the way down. They have to know how your upper and lower teeth match up when you bite all of the way down because this is how they determine where to place the replacement teeth so that when you bite all of the way down the replacement teeth are placed in the exact correct position to be functional but not in the way. When you have less than 10 teeth on your upper and 10 teeth on your lower it becomes too difficult for the lab to know how your upper and lower teeth match up when you do bite all of the way down. 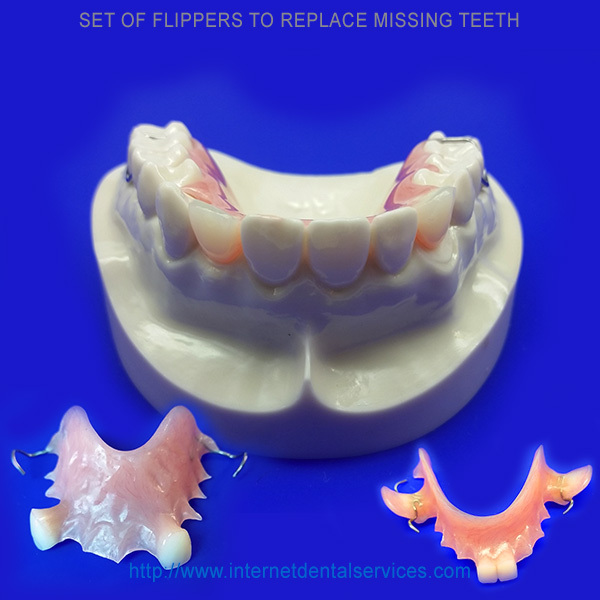 A Dental Flipper is a hard acrylic plate with fake teeth attached to it for filling spaces where you have missing teeth. It will last up to 3 years, but just like the Temporary Bridge you have to take it out to eat because the acrylic is breakable under pressure. 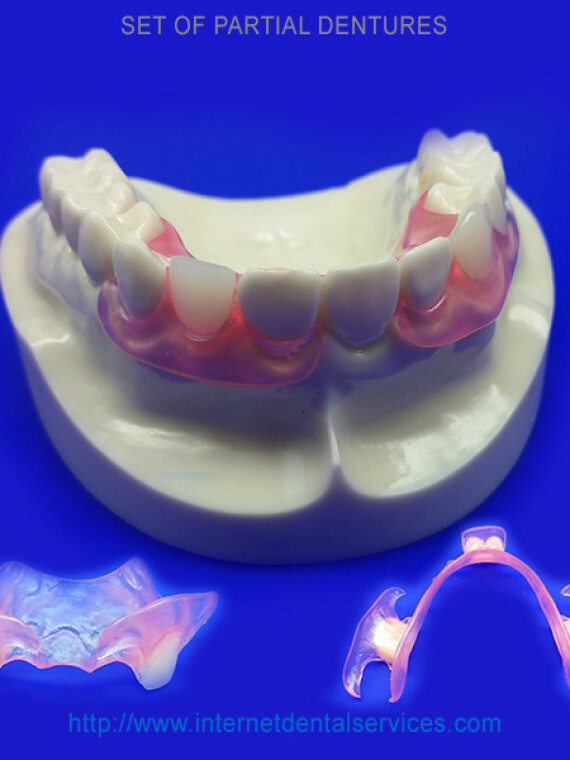 If you are wanting a teeth device that you can eat in, then you need to order our Flexible Partial Denture. 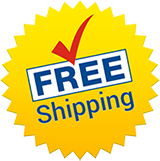 When you order our Dental Flipper you will receive our teeth impression kit within 2-3 days. After you create your impressions and send them back to us in our prepaid mailer, it takes 10-12 days to manufacture your product (the same time as if you had gone to a dentist). These are the same high quality products that are made by laboratories that dentist use, for close to half the cost. A Dental Flipper can be worn 24 hours a day but you must take it you while you are eating. To insert or remove this teeth device, use both hands and push on or pull off evenly with your thumb and index finger. It may take several days for your tongue to get used to device and then your speech will return to normal. To clean the Dental Flipper simply brush it with toothpaste and water after each use. You can use effervescent tablets as needed for deep cleaning.